Louis Vuitton is getting more involved incorporating jewelry into the line, launching their own diamond cuts based on their monogram flowers. The cuts which are patented took over three years to develop and each features between between sixty one and seventy seven facets. 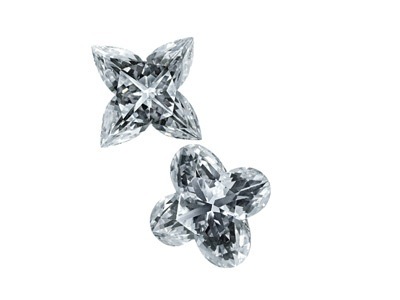 Â The Louis Vuitton monogram cut diamonds will be seen on brooches, rings and necklaces.